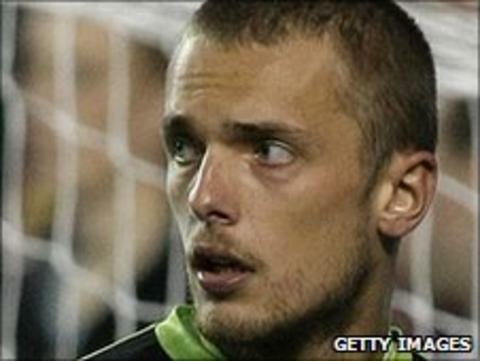 Charlton Athletic have signed Reading goalkeeper Ben Hamer for an undisclosed fee and Scunthorpe defender Andy Hughes on a free transfer. The Addicks have handed a three-year deal to the 23-year-old, who has only made five appearances for the Royals, all in the FA and Carling Cups. Hughes, 33, has signed a two-year deal with the Addicks. The double signing brings manager Chris Powell's summer spree up to 15 new faces at The Valley. The majority of Hamer's playing experience has come with loan spells at Crawley, Brentford and Exeter City. He had four separate loan spells at Brentford, making 80 appearances for them between 2007 and 2010 and told the Addicks website: "It's a club with a big fanbase. I want to help Charlton get into the Championship." Former Reading man Hughes made 19 appearances for Scunthorpe since his January switch from Leeds. He said: "The plan at this club is to try to get out of this league as quickly as possible."